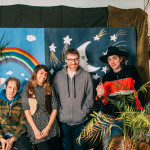 Flying Fish Cove is a painted dream of poetic indie pop from Seattle, WA. 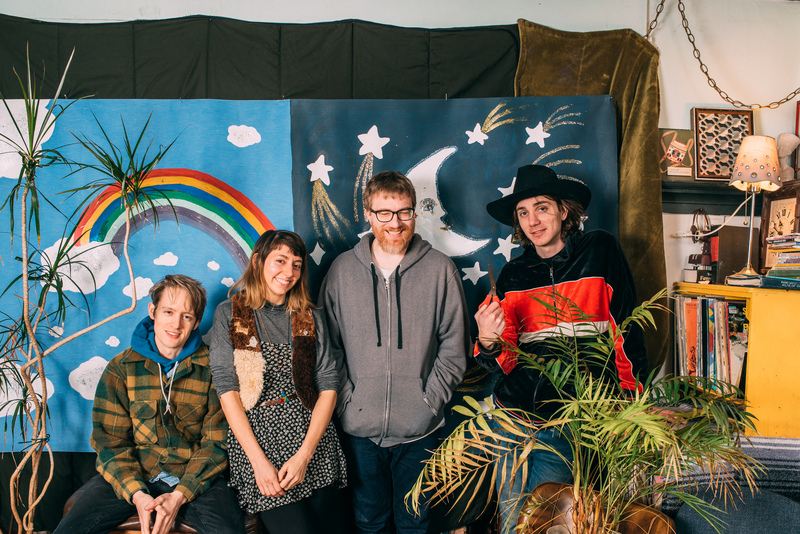 A band that invokes the spirits of Heavenly, Teenage Fanclub, and The Pastels. The fierce interiority, magical escapism, and mythical imaginaria that define singer-songwriter Dena Zilber’s intricate and intuitive visual style reveal themselves in the band’s transcendent patchwork of jangling ballads. Dena’s poignant vocals and propulsive rhythm guitar are accompanied by lead guitarist Jake Jones, bassist Sean Canfield, and drummer Jacob Jaffe. 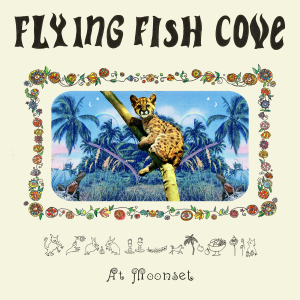 It is the vast mountain ranges, sublime greenery, and vibrant art scene of Seattle that inform the collaborative ethos of Flying Fish Cove’s latest album, At Moonset. A rosy testament to summer love, “Dangerous Words” exalts the abundance of fruit trees lining the streets of the Emerald City, while the bittersweet “Home Sweet Home” lambasts its gentrification with a rare sense of personal and political responsibility. Vivid Tove Jansson-esque motifs dart through the album, from the off-kilter Muzzy-inspired “Bob and Sylvie,” to the travails of Pippi Longstocking in “Johnny Paper,” to the somber, watercolor dreaminess of “Belladonna” (a reference to the arresting 1973 psychedelic film Belladonna of Sadness). 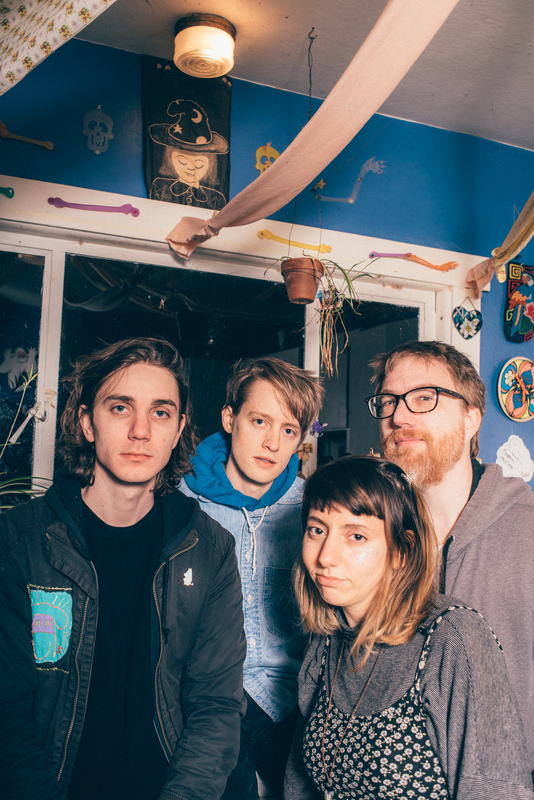 The album’s tour de force “Manticore” weaves encounters with mythical monsters into the everyday confrontations with trauma, and its accompanying video celebrates the community that makes recovery possible. Flutes, violins, bells, and omnichords thread their way through the album’s cosmic tapestry. 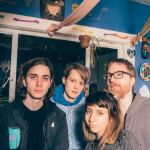 Friends from near and far contribute voices to this polymorphous record including Greta Kline (of Frankie Cosmos), Jade Tcimpidis (of iji), and Lydia Brambila (singer-songwriter from Athens, GA). 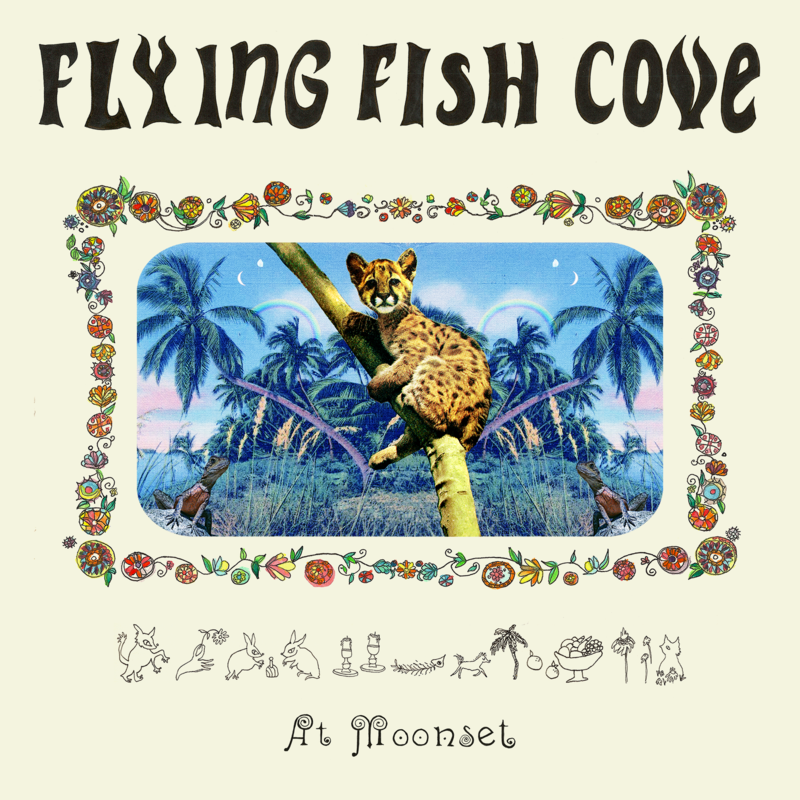 Flying Fish Cove transmutes heartache, exhaustion, and anxiety into shimmering expressions of faith in the power of joy, friendship, and the labor of making art, and their latest album is ultimately a testament to the transformative and collective potential of the Seattle art scene. IMAGES: To download, click above. Photo credit to Dan Bracaglia.